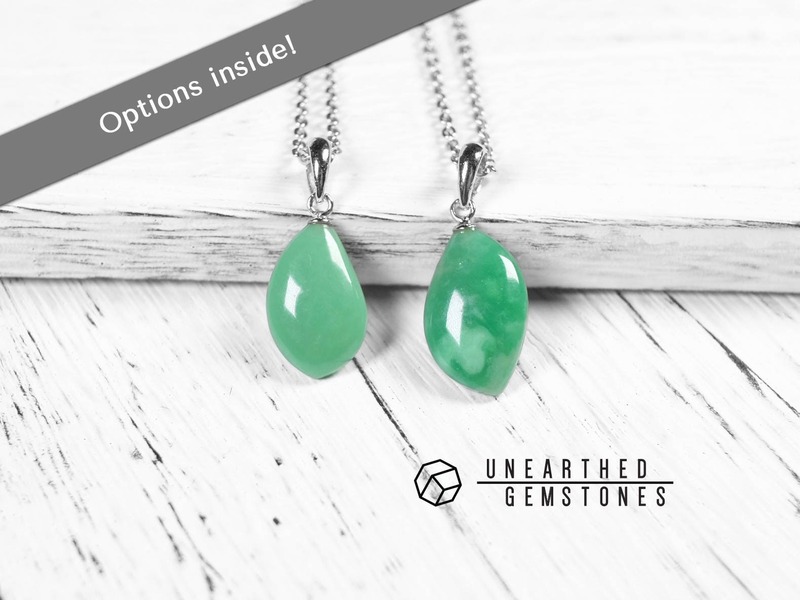 This necklace uses a natural and genuine variscite. 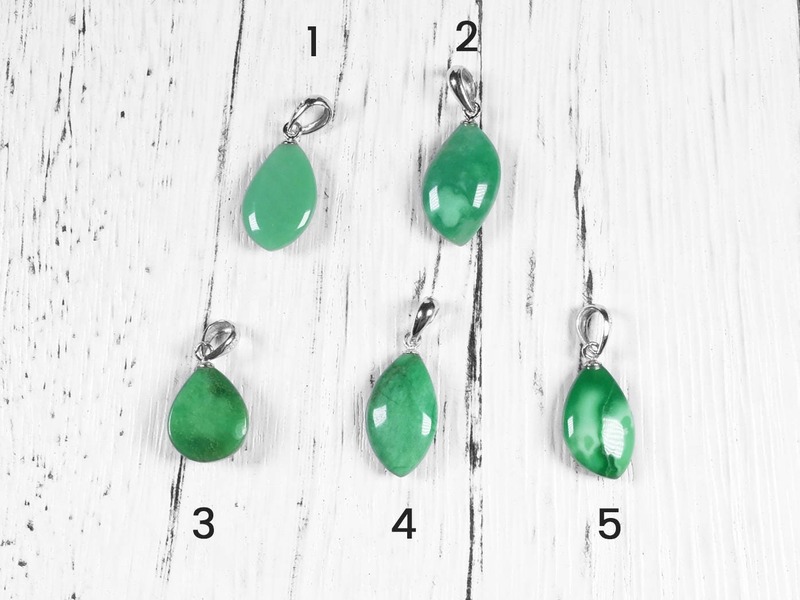 It is a green gemstone named after Variscia, the historical name of the Vogtland district in Germany. 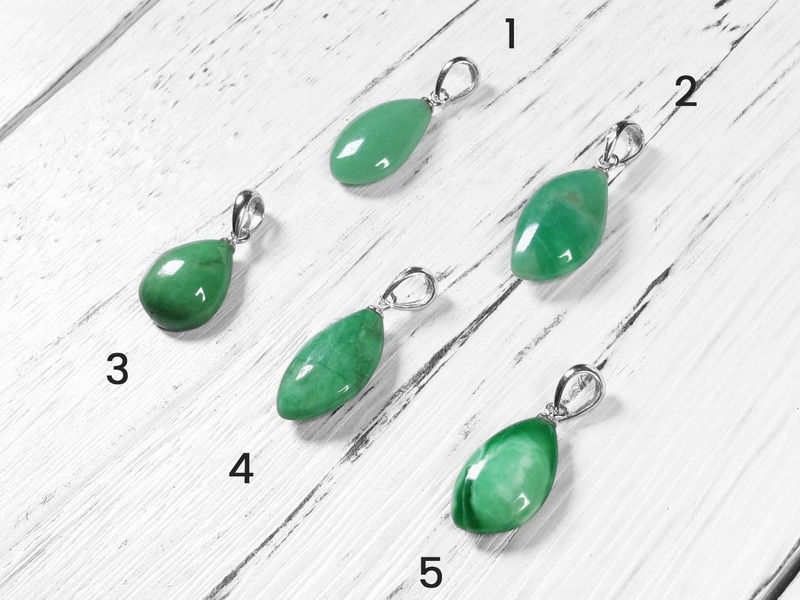 It sometimes exhibits veining patterns with different shades of green. 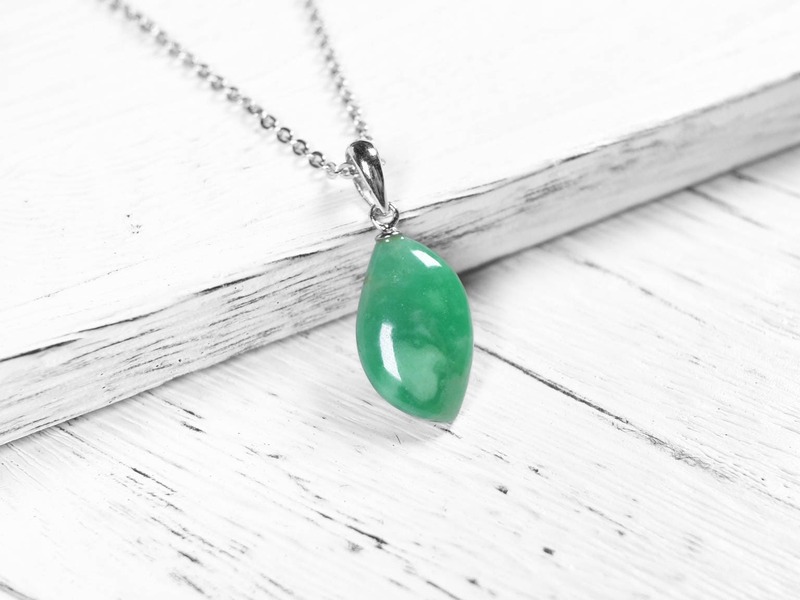 It is considered a collector's gemstone. 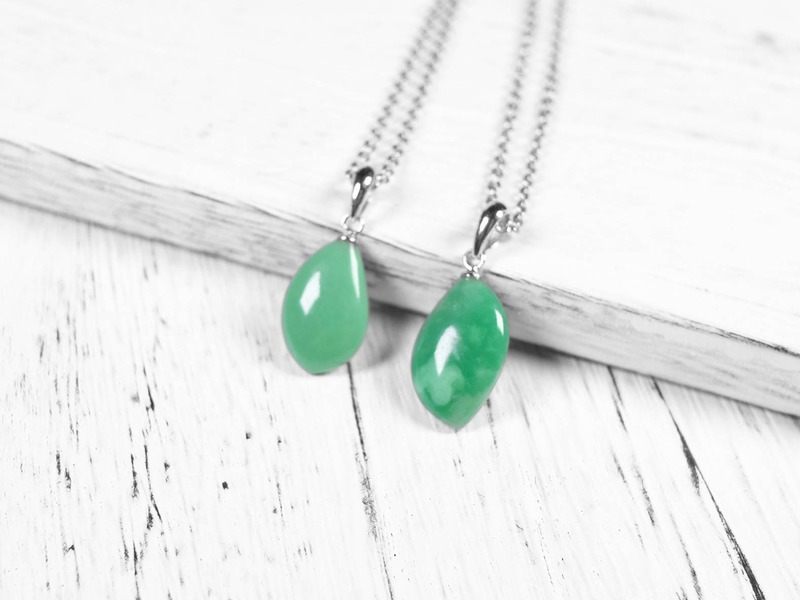 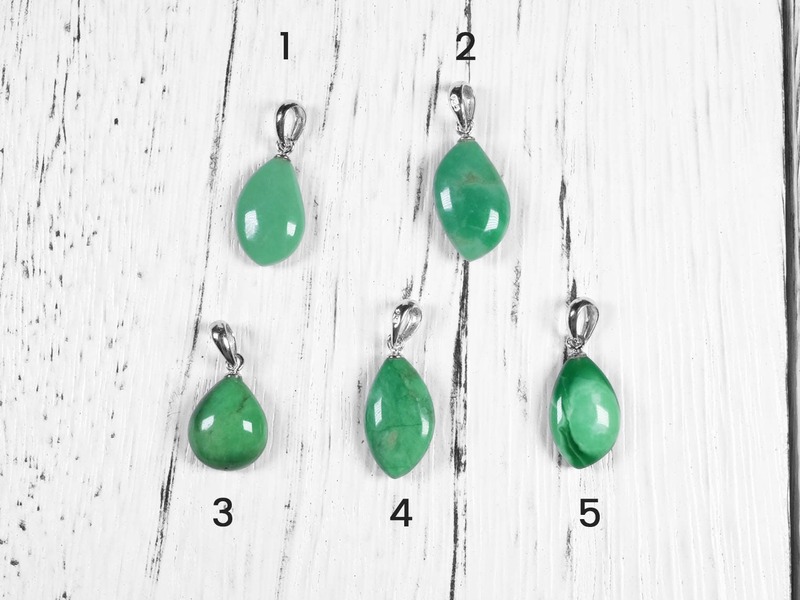 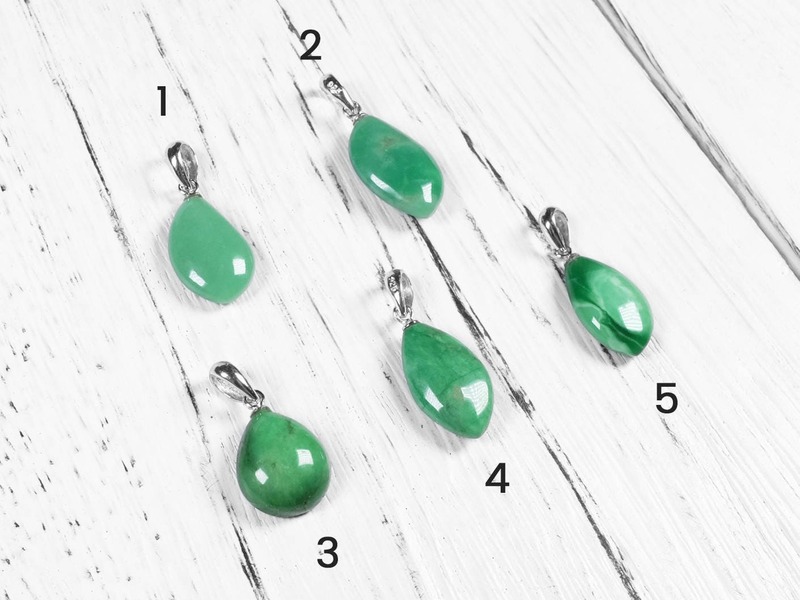 The colors of these variscite necklace are natural and rich. 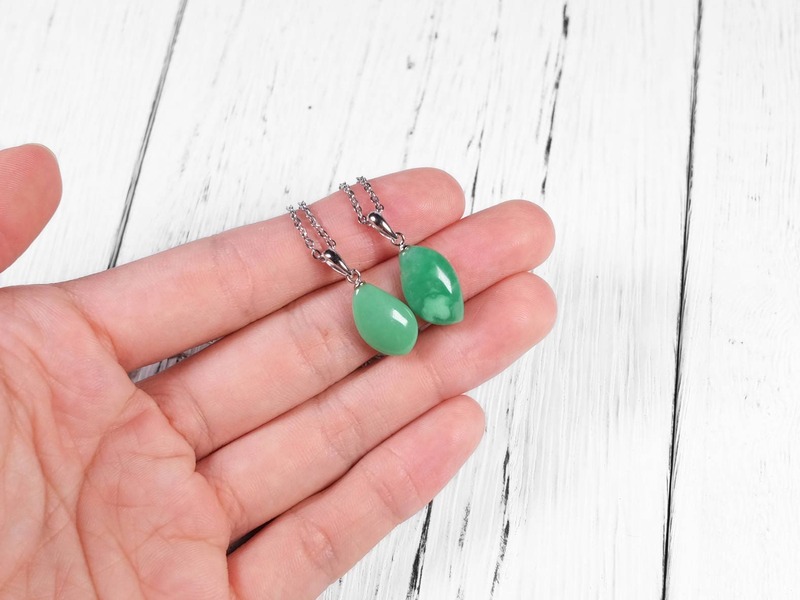 They are paired with 925 sterling silver hinge, making it a great way to wear this interesting gem.